“I was 13 weeks pregnant when the call came; the call that changed the way I look at the world; the call that shaped my future. That call was the one that told me I had a 1:138 chance of having a baby with Down’s syndrome. We were offered a termination or CVS. I cried lots, I Googled lots and I went into denial. It wasn’t happening to me, not to my family. My life was perfect so they must have it wrong. If I ignore it, it may go away. So that’s what we did. We ignored that little statistic and carried on in our perfect little bubble. At our 20 week scan the sonographer took all the appropriate measurements and told us we were having a girl and to go wait in the waiting room for our pictures. I just knew then that something wasn’t quite right. A nurse went into a counselling suite to the side of us – I knew it was for us. We were told “your baby girl has shortened femurs, a soft marker for DS”. I heard the words ‘urgent scan’ and ‘fetal medicine unit tomorrow’. The rest was a fog. The next day, after no sleep, we trooped along to the LGI where I was scanned again and told our baby girl was globally small. Could be any number of things but combined with everything else very likely to be Down’s syndrome. Did we want an amniocentesis? Did you know you can still terminate at this stage? I said no and no thanks and went away with my scan, pictures and broke down in tears. We decided that if that’s what life was dealing us, then so be it. We were introduced to a mutual friend whose daughter has Down’s syndrome and it was at that point I knew it would be okay either way. Four months later and with an extremely swift labour Amelia Hope Mayne entered the world. She had breathing difficulties, due to swallowing meconium and was in distress, so was resuscitated and whipped away to the intensive care. 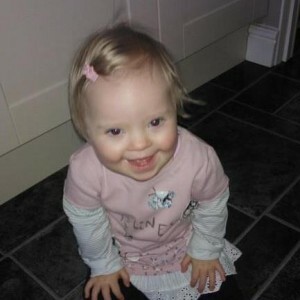 Three hours later a consultant came to see us and said she has some typical features of Down’s syndrome; but we can’t be sure so we have taken blood samples and sent them away for karyotyping. I hadn’t even seen her at this point. It was assumed that because we had carried on with the pregnancy, despite markers, that we would be okay with a head round the door approach to diagnosis. My world crumbled a little, but I held on as nothing was yet set in stone. Twenty minutes later we made our introductions. As I stared at my baby daughter in her incubator, covered in wires and tubes, she opened her big blue eyes and gazed at me. I fell in love. I spent every waking minute with my husband by her side. 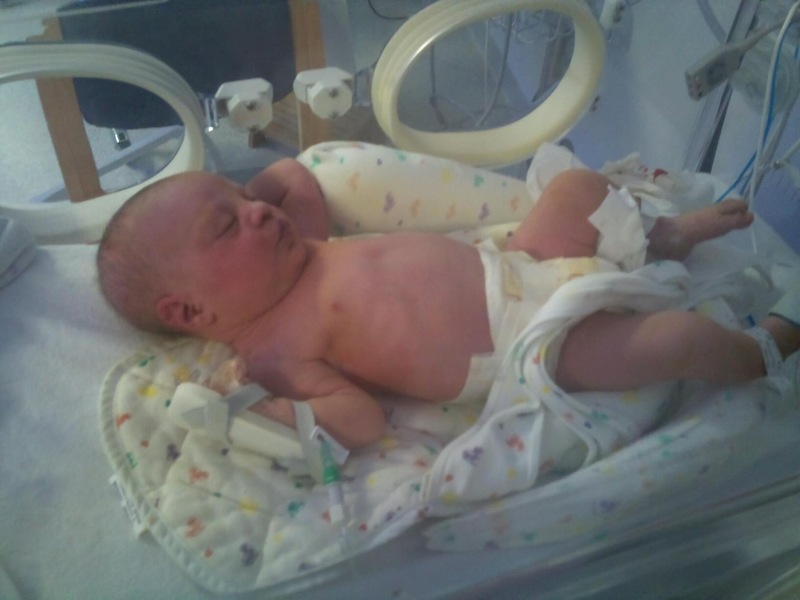 Twenty-four hours later a team of consultants, doctors, student midwives and nurses entered intensive care and pulled a privacy screen round us. We were told in front of three other families that our baby definitely had Down’s syndrome, was that okay? I said “no” and walked away sobbing. The look of pity in the other families’ eyes was almost unbearable. Later that day a midwife sent the Bounty photographer away, as we wouldn’t want any photographs of our baby, she didn’t think! Amelia was discharged a week later and we went home to begin our new lives together. 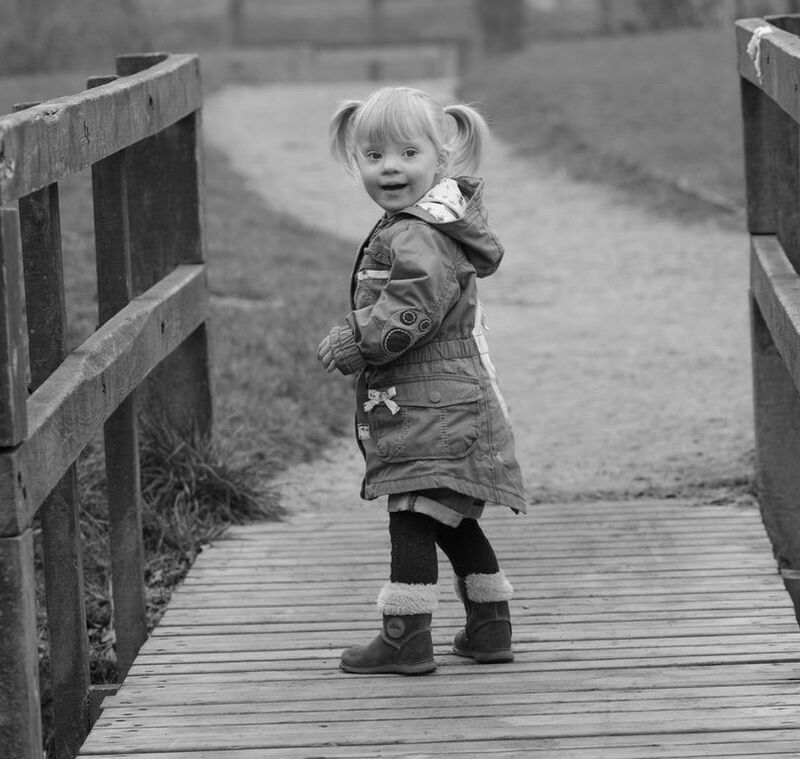 At three years old, Amelia isn’t anything like what consultant described that she would be. Amelia is a million times removed from the picture of negativity that the consultant created to us in words. She is amazing, funny, clever, tenacious, curious, loves Peppa Pig and is mainly age appropriate.